Eureka’s groundbreaking Masters Of Cinema label, often described as the UK’s answer to the Criterion imprint, has just unveiled its line up for the next couple of months, as is now the case, through an announcement on Twitter and elsewhere online. It’s an apt route for the MoC label, it has built its impeccable credentials through speaking with the fans and, essentially, being “one of them”, thinking and acting like a film enthusiast. The comparison to the Criterion label is flattering, sure, but MoC has earned it with the effort it puts into both selecting its titles and then bringing them to market. The gift that keeps on giving for Eureka and its Masters Of Cinema label. The company, in keeping with many independents, has had a tough few years of it, stretching back to, in its formative years, the collapse of EUK and then Virgin, through to recent retail woes in the business, taking in, along the way, the devastating loss of stock in the Sony DADC post-riots blaze. 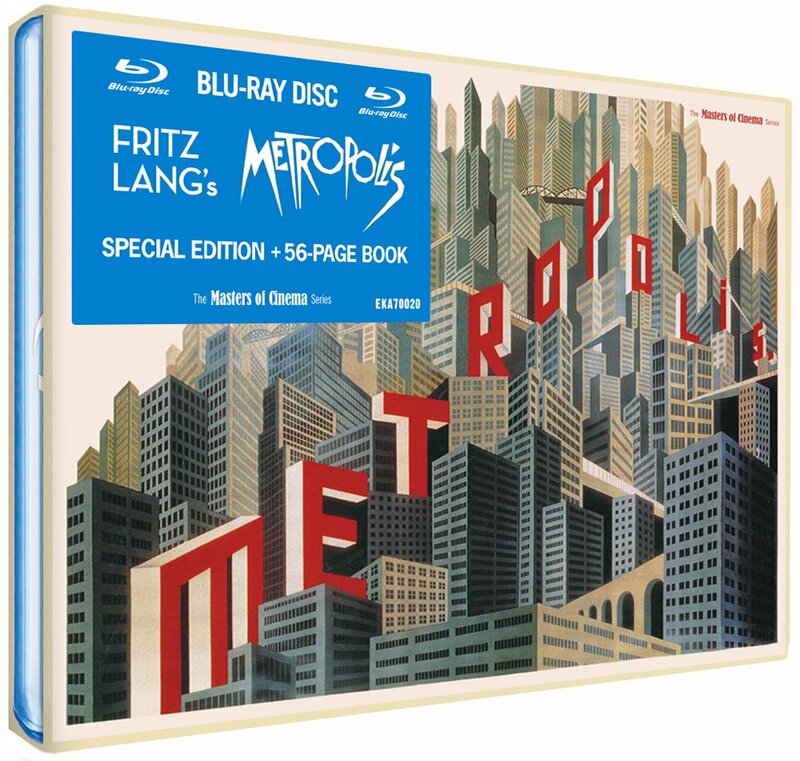 In the past year or two, Metropolis, the classic sci-fi film, in all its forms, including the Giorgio Moroder update from 30-odd years ago, has helped the company see out the rough times, thanks to its regular sales. “It’s like the rent coming in every month,” says Eureka’s Ron Benson. run will open in selected cinemas nationwide on October 25, just in time for Halloween, and will feature as part of the BFI’s Gothic season. Blu-ray and DVD releases will follow in early November 2013. A mainstay of the Masters Of Cinema catalogue, the first to be released on DVD and the first on Blu-ray, the latter was the first time it had been released in high definition anywhere in the world. Another black and white classic. One of the more esoteric items in the MoC catalogue, it’s a groundbreaking documentary by the Maysles and Master Of Cinema’s edition represented its first ever DVD release in the UK. Another title like Nosferatu that crosses over from cineastes to horror films, as Masaki Kobayashi’s film was arguably the starting point for J-horror. Available in its most complete version ever in the UK, complete with sequences never before seen on these shores, helping take the film’s running time beyond the three-hour mark. Another ground breaking Japanese release – MoC has done as much as anyone in bringing films from the territory to the UK market, giving this Kaneto Shindo masterpiece its first ever outings on first DVD and then Blu-ray. Complete with all the requisite extras, including a commentary from the maestro Shindo himself. One of the more recent entrants into the MoC catalogue, it saw the label cementing its deal with Universal and picking up a classic slice of sci-fi that was warmly received by many, including much championing from critic Mark Kermode. Orson Welles’ classic and a personal favourite of this writer. This again showed the importance of the MoC’s relationship with Universal. It’s a gem from the studio’s library and given the MoC treatment was a winner for all parties.